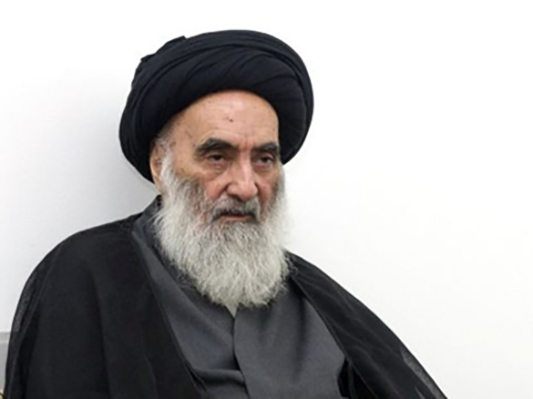 The office of Iraq’s prime minister and also the head of the country’s National Wisdom Stream hailed top Shiite Grand Ayatollah Ali al-Sistani’s opposition to the semi-autonomous Kurdish region’s moves for secession from Iraq. According to the Iraqi media, the office of Iraqi Prime Minister Haider al-Abadi released a statement expressing the premier’s appreciation for the grand cleric’s stance after Ayatollah Sistani called on the Kurds to return to the “constitutional” path. It thanked Ayatollah Sistani for his stances on the need for safeguarding Iraq’s national unity and constitutional rule. The statement referred to regional and international opposition with Iraqi Kurds’ secession plans and praised the cleric’s “sense of responsibility” for releasing a “historic” statement. Meanwhile, Head of the National Wisdom Stream Ammar al-Hakim urged the Iraqi Kurdistan Region to follow the guidelines of the religious leadership. He asked Iraqi Kurdistan Region President Masoud Barzani to annul the results of the referendum held on September 25 in the northern Kurdish region and resume talks with Baghdad. Ayatollah Ali al-Sistani in a statement on Friday said that Kurds must return to the “constitutional” path, arguing that is in the best interest of all Iraqi people, including the Kurds. “We are calling on the officials in the region to go back to the constitutional path to solve the issues between the central government and region’s government,” the statement said. “We also call on the Iraqi government and the political powers represented in parliament in all their decisions and steps to take into consideration the preservation of the constitutional rights of our Kurdish brothers,” it added. The statement said that the recent development should not negatively affect the “solid relationship” between the Iraqi people, including Arabs and Kurds. According to Kurdish officials, over 90 percent of the voters said ‘Yes’ to separation from Iraq.